In “The Not-Quite-States of America,” travel writer Doug Mack presents a lively guide and history of U.S. territories, and assesses how the U.S. has treated these far-flung parts of our nation. We’re used to thinking of Hawaii as the USA’s westernmost/southernmost outpost. Ditto with Maine, when it comes to our eastern border. But these geographical facts come with significant footnotes. Guam, American Samoa and the U.S. Virgin Islands — all part of our nation — extend our global footprint as far west as Japan (Guam), well south of the equator (American Samoa) and slightly east of Maine (St. Croix in the U.S. Virgin Islands). “The territories,” travel writer Doug Mack declares in his new book, “are not part of our conception of ourselves.” When he realized he didn’t know “why or how the United States controlled them, why they weren’t states, who lived there, what life was like there,” he set off to find out. 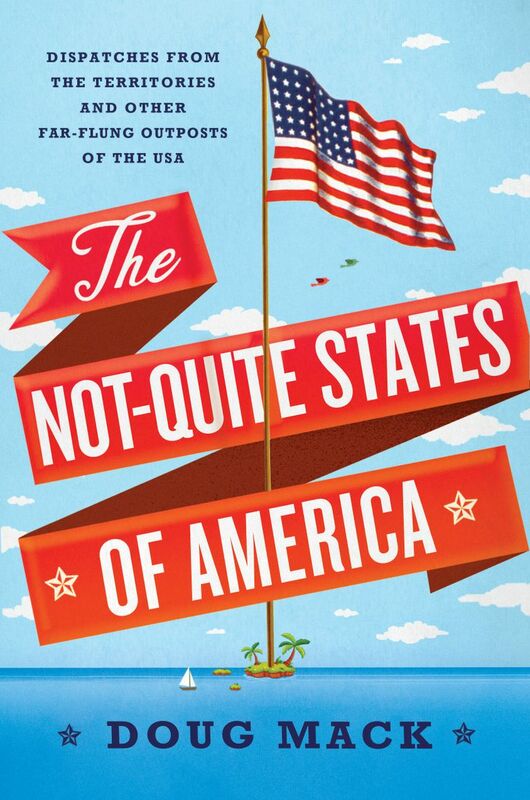 “The Not-Quite States of America” is the dandy result. As Mack flew 31,000 miles to Puerto Rico, the Northern Mariana Islands and the territories named above, he never had to change currency or obtain a visa. Visiting the Marshall Islands, a former territory that’s now a sovereign country with a seat in the U.N., he learned that the U.S. dollar is used there, too, and that residents don’t need visas to live and work in the U.S. In almost all the territories and “freely associated states” (the Marshall Islands, Republic of Palau and Federated States of Micronesia), military enlistment, Mack says, is higher than in any American state. Yet in American Samoa, residents are only “U.S. nationals,” not full citizens. Similar secondary status exists in all the territories, with the particulars varying from place to place. Taxation, labor law and entitlements [all differ in these U.S. possessions, with the federal government often having little idea how its policies affect the people living there. At the same time, he gamely grapples with the nuts-and-bolts of each territory’s ambiguous legal status. Not every territory, surprisingly, aspires to statehood or full citizenship rights. Mack includes you in all the fun of his journey, while making strong points about it.